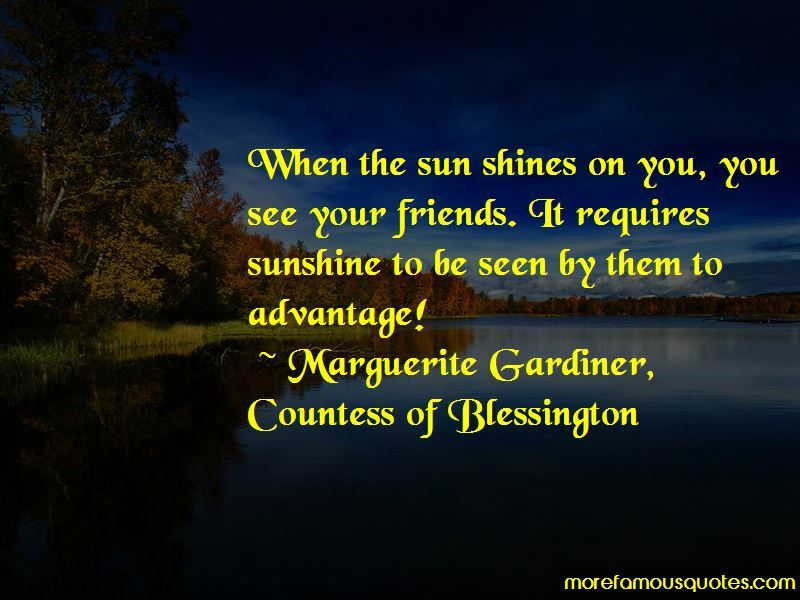 Enjoy the top 76 famous quotes, sayings and quotations by Marguerite Gardiner, Countess Of Blessington. “A mother's love! O holy, boundless thing! Spring is the season of hope, and autumn is that of memory. People seem to lose all respect for the past; events succeed each other with such velocity that the most remarkable one of a few years gone by, is no more remembered than if centuries had closed over it. 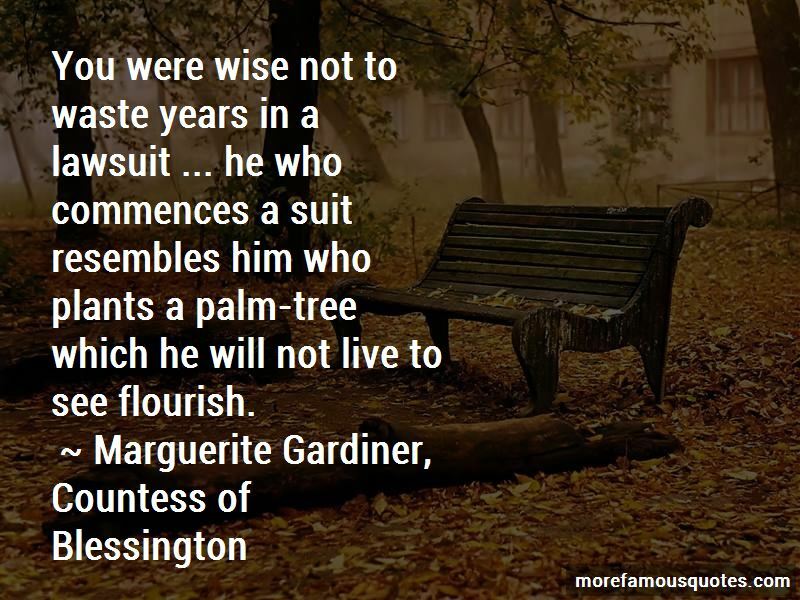 A German writer observes: The noblest characters only show themselves in their real light. All others act comedy with their fellow-men even unto the grave. 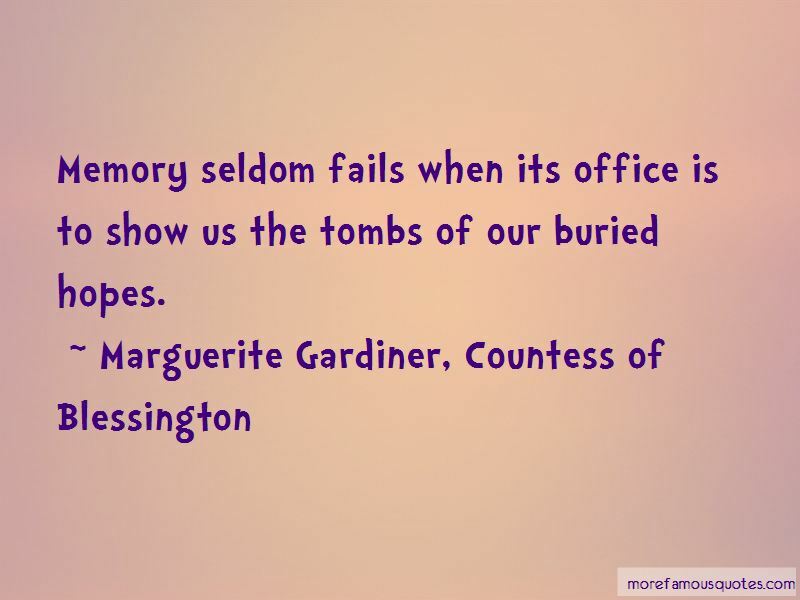 Want to see more pictures of Marguerite Gardiner, Countess Of Blessington quotes? 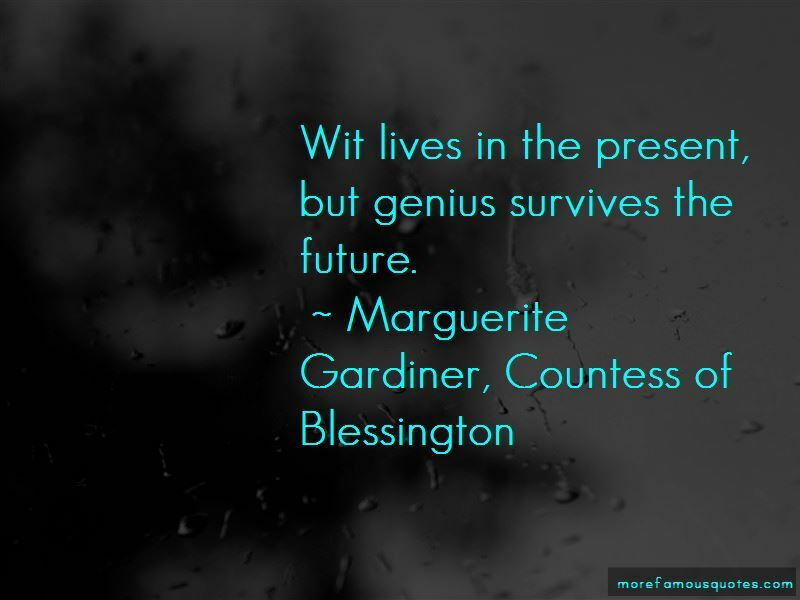 Click on image of Marguerite Gardiner, Countess Of Blessington quotes to view full size.